Where To Place The Car-Numbers? Since the 2018 universal aero kit was unveiled last spring, there have been mostly positive comments from fans about the looks. Now drivers are praising the way it drives. We are keeping our fingers crossed that it will also produce great racing, as everyone is predicting. 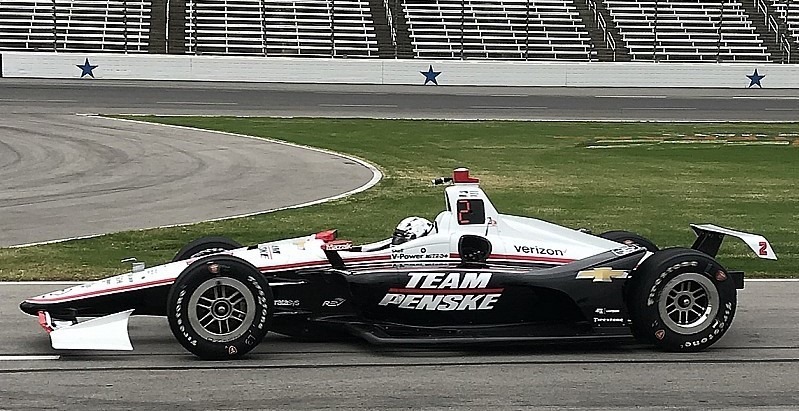 But there is one slight negative about the new design that IndyCar doesn’t quite seem to know how to deal with – the placement of the car number on the side. I know; I know…this is a very minor problem. Some will claim that I am being overly critical and looking for something to complain about. Others are so unconcerned about this because they don’t even look at a car’s number and couldn’t care less if a car even carries a number. But for someone as superficial as I am, it matters. Back when cars were much bigger and slower, it certainly seemed to matter. 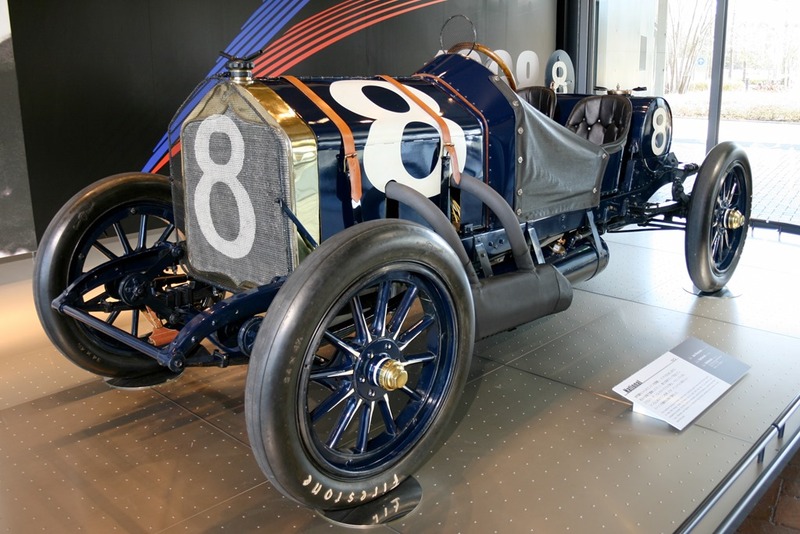 There was certainly no question when Joe Dawson won the 1912 Indianapolis 500 that he was driving car No.8. Even though the cars were going almost a third of the speed that they do today, those that made the rules thought it was important for those sitting in the stands to know what car was going by. Fast forward a half-century or so, and roadsters like Ol’ Calhoun left little doubt as to the number that was going by. 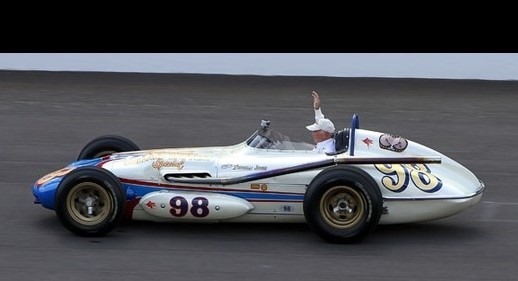 Even if you didn’t know that Parnelli Jones was driving car No.98, there was no doubt what car was going by. 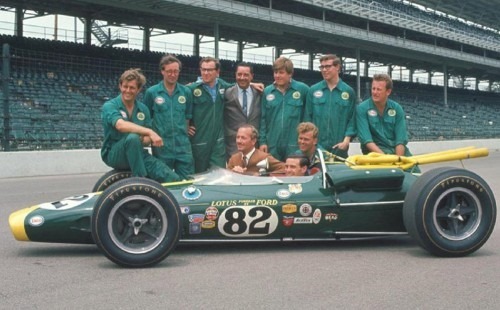 Of course, this was in the day when sponsorship was not prominently displayed all over the car. The car name was written somewhere on the hood of the car and that was pretty much what the sponsor got. Ol’ Calhoun was the Willard Battery Special. The official colors for Willard Batteries are green and yellow. In 1963 (as shown above) Jones’ car was electric blue and pearl white, with red trim. So all the sponsor got was the name of the car. When the roadsters where abandoned for the smaller rear-engine cars, the car number on the side migrated to the very center of the car and was prominently displayed. When sidepods became more pronounced in the late seventies and eighties and as costs escalated, sponsorship demanded more real estate on the side of cars. Generally, the primary sponsor got the giant sidepod area along with the rear wings, while the associate sponsors got the smaller space directly below the cockpit or on the cowling. The number was still required to be a size big enough to see so it was usually relocated at the rear of the sidepod. In the late eighties and early nineties, the car number on the side was in a large font located somewhere just behind and below the driver. A good example is the 1991 Indianapolis 500 winning car of Rick Mears. By the end of the decade, The Split had occurred. With that came some ridiculous number placements from both sanctioning bodies. Most CART teams went with a tiny insignificant number on the endplate of the rear wing that you had to look for to even see – much less make out what it was saying. Some teams, like Team Penske, opted to keep the more traditional larger number. As bad as that was, the IRL had a rule that mandated that the number would be black, in a square white field in a common standard font – even on the front of the car. There could be no variance, regardless of sponsor or car color. To make it even dumber; the number on the left side of the car was very small and on the air box over the driver’s head. The number on the right side was much bigger, placed close to where an associate sponsor’s logo might go. That practice stopped with the 2002 season. I don’t know if it was coincidence or not that that was the same year that Team Penske came on board. 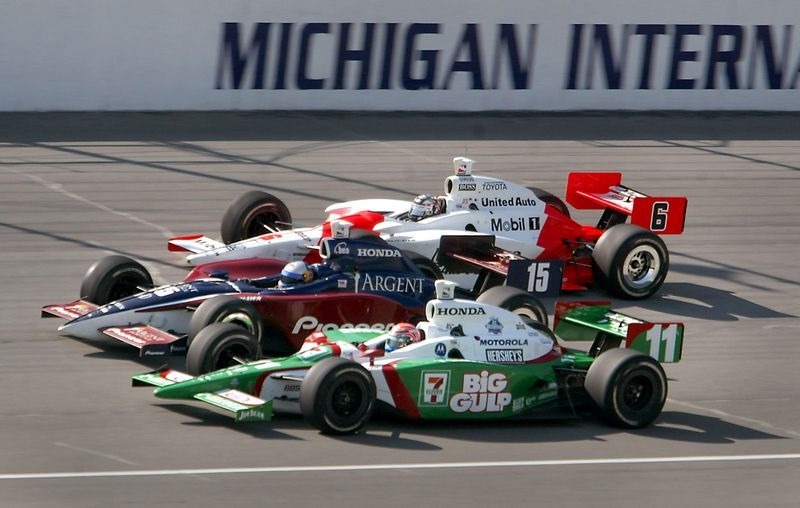 It could be that Penske flat-out said that his cars would not carry the same number placement that they had been required to carry in the 2001 Indianapolis 500. That is pure speculation on my part, but I always thought the timing of that change was a little curious. The new rule stated that the car number would take up the entire end-plate of the rear-wing. It could be in any color or font, but they had to be big and visible. That made a lot of sense to me. When a car was going by, you knew where to look for the number and you could certainly see it. They also showed up well on television. It made so much sense, that it remained common practice from 2002 until this past season. Even with the rear bumperpods of the aero kit era from 2015-17, the numbers were at the very rear of the car. But for 2018, things may have changed. With the size and shape of the rear wings, the full-sized numbers are no longer possible. There are now a series of slots in the end-plates of the rear wings that do not allow for full-sized number. Here’s a comparison of the rear-wing number for Alexander Rossi from 2017 to 2018. Then there is the ridiculously small rear-wing of the speedway configuration for the new body kit. There is no place for anything on that end-plate, but apparently teams are opting to put the number there. Do they not realize how hard that is to read even on a photo, much less from the stands while the car is going by at speed? Last fall, I saw several concept renderings that fans did of the new body kits with different liveries. Many times, they put the car number on that aero piece just in front of the rear wheel, somewhat reminiscent of the early eighties. To me, that makes more sense. It’s a standard location and they can make the numbers big enough to see. Knowing the car numbers for drivers is more important now than ever before. 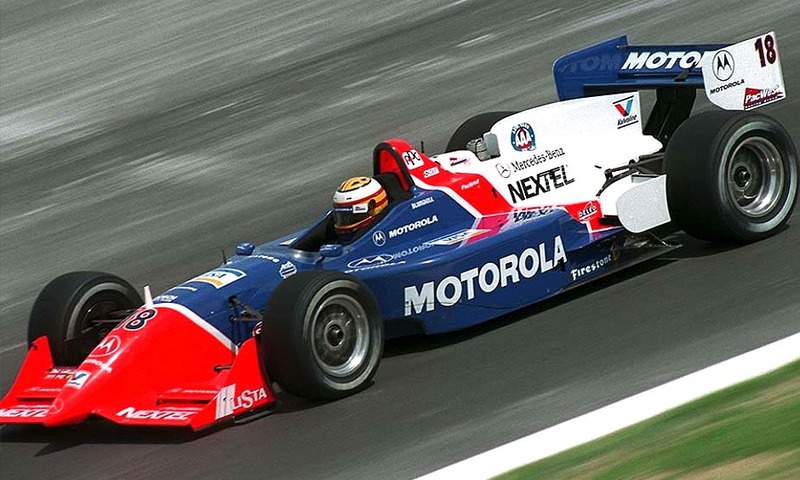 Back when these small car numbers were on the rear-wings in CART, you knew that Mark Blundell drove the Motorola car or that Gil de Ferran drove the Valvoline car. But today, cars change from week to week. 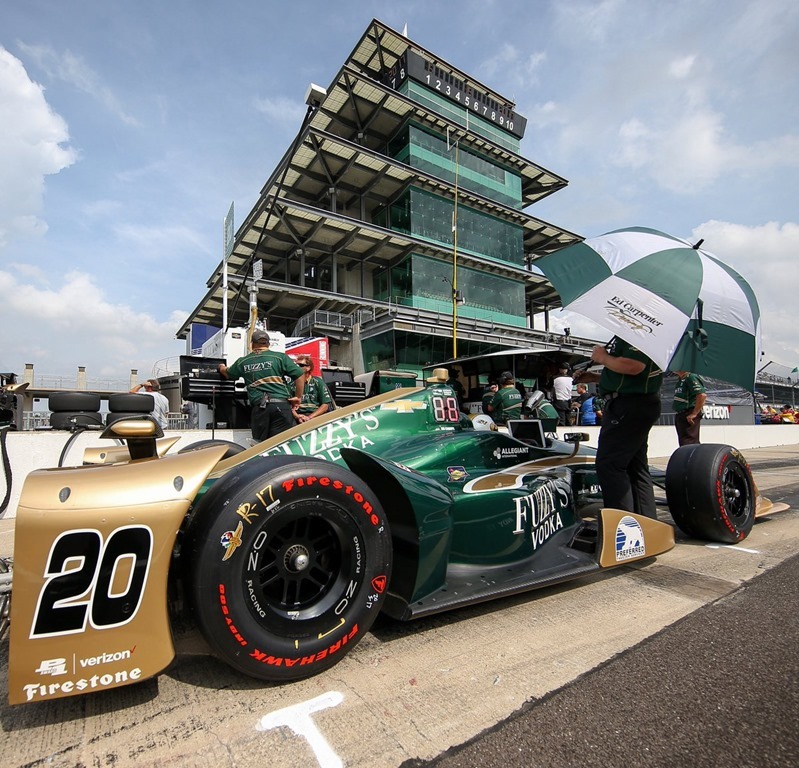 One week, Josef Newgarden may be driving the black and green Fitzgerald Glider Kits livery. The next week, he is likely to show up in the blue and white PPG car. Unless you’re really good with keeping up with different sponsors from week to week; it’s easier just to remember that Newgarden will be driving car No.1 this year. That is if you can actually see where the No.1 is displayed on the car. This is a little thing and I tend to get hung up on little things. 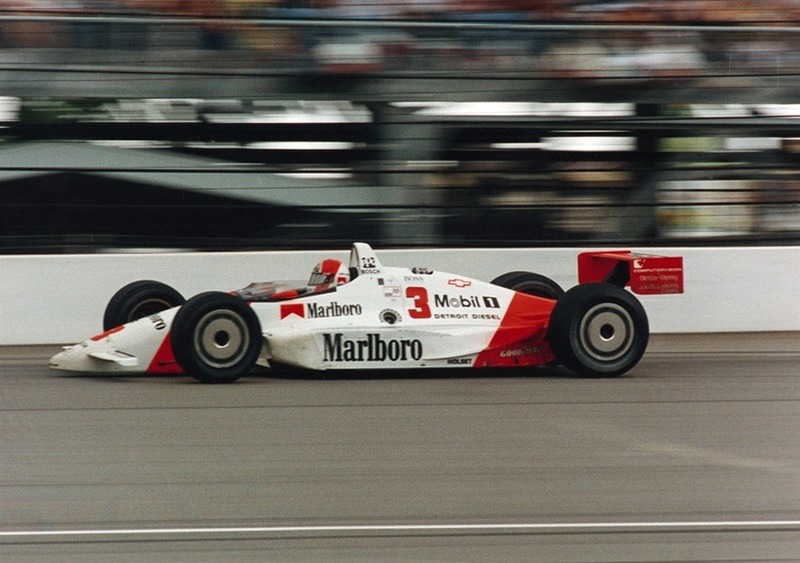 I was one of the very few that noticed (or cared) in 1994 that the three Marlboro Team Penske cars all had different colored roll bars and numbers. 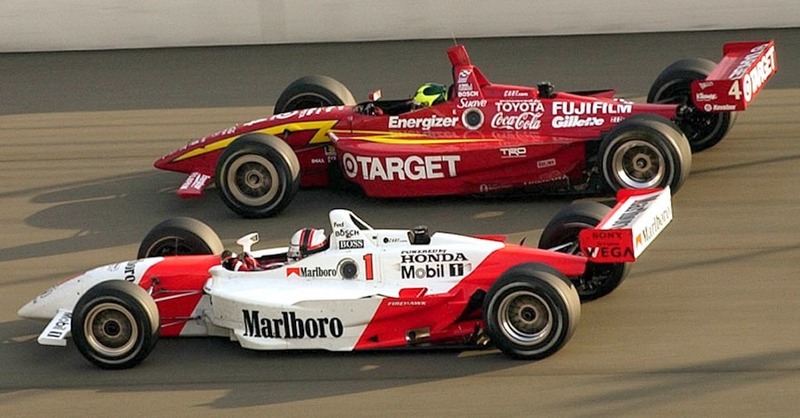 Paul Tracy had a red No.3 and a white roll bar. 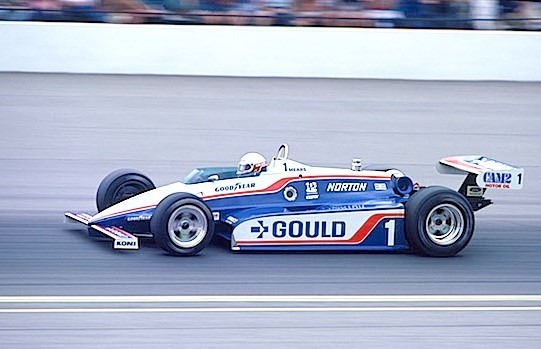 Emerson Fittipaldi had a black No.2 and a red roll hoop, while Al Unser, Jr. had a black No.31 and a black roll bar. Do many people notice things like that? Probably not. It drives my wife crazy. She says I’m the most observant person she knows, and she doesn’t mean that as a compliment. But to me, the number placement is a big deal. It’s part of a driver’s or team’s identity. There’s a reason that NASCAR has the number cover the entire roof and the whole side panel where a door would normally be. I don’t give NASCAR credit for much, but on the numbers they got it right. Hopefully, the powers-that-be will realize that the car numbers on the side look like an after-thought and they will do something to make them bigger and easier to read. Putting the car number in the LED panel is not the answer. That’s for the track position and other information. I’m hoping that a solution can be found by the season-opener at St. Petersburg. Otherwise, we might have a lot of confused fans on our hands – at races and watching on television. This entry was posted on January 29, 2018 at 4:04 am and is filed under IndyCar. You can follow any responses to this entry through the RSS 2.0 feed. You can leave a response, or trackback from your own site. Excellent point about the ever-changing liveries. Yes, being able to see the numbers help figure out who’s in what from race to race. 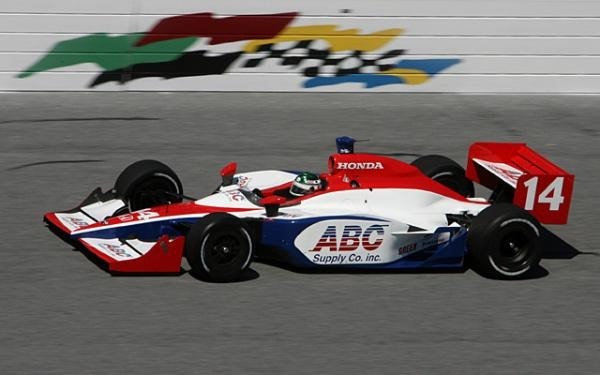 It also helps in the case of the ABC cars, and the occasions when NTT Data is running its colors on both Ganassi cars. I like the rendering of the ABC #4 and the number placement there. I’m happy with the new look of the cars, but it would be nice to see the numbers. Guess that’s what the spotter guide on indycar.com is for. Oh God no!!!!!!!! Haha! The rear pods were the worst! With the help of the photos this is a well thought out and well organized post George. Persuasive actually. I don’t mean this question to be rude, but do you know of any decision makers in IndyCar that read your stuff? Are you able to send your stuff to them? I ask that because preaching to the choir seldom results in conversions. George, I also notice the small details on the cars. The TV and radio announceers have kept saying for the past 4-5 years that the ABC Supply cars are identical, when, in fact, they have not been. 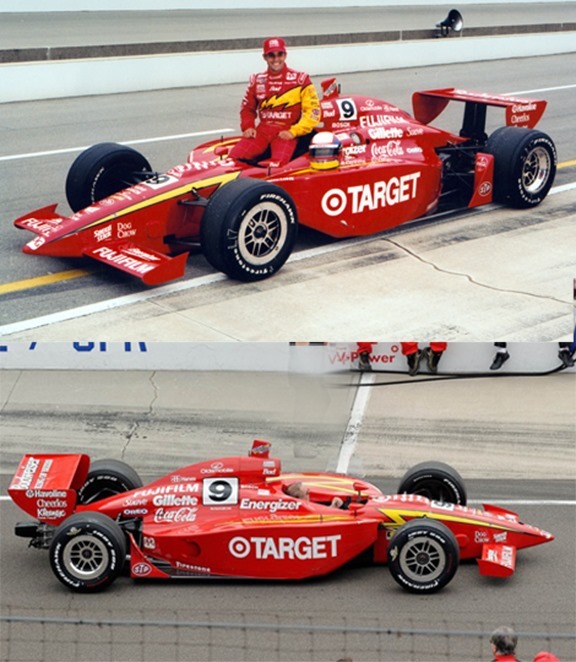 The mirror housings and roll bars have been different colors on each car. 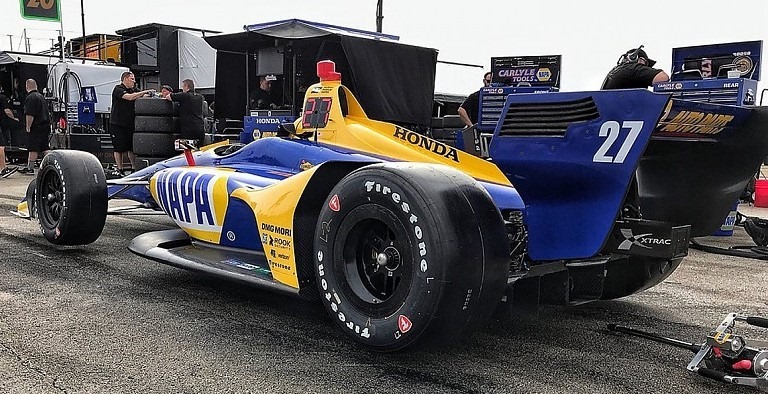 I would agree that the aero device in front of the rear wheels is the best place for the numbers on these new cars, especially as the paint schemes released thus far have largely left that space devoid of significant sponsor logos. One exception to that being the Chevrolet bowtie. 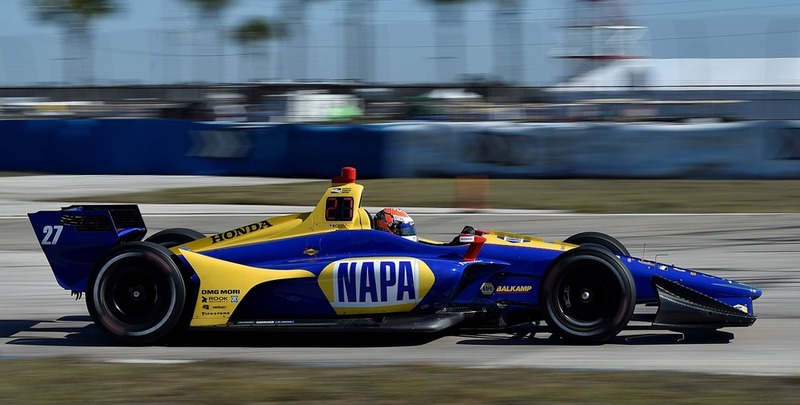 I wonder if Indycar’s required number placement was influenced by Chevy’s desired logo placement. Alas, sponsors pay better than numbers do. And even NASCAR may be succumbing to desire for more sponsor real estate in the near future. Starting last year, teams in the K&N Pro Series are allowed to put their number on the rear quarter panel and sell the door area to the primary sponsor and the practice may start making its way up into the national series. It looks weird, really weird. You’ve got a valid point there, George. Placing the car number on the side of the speedway wing seems rather ridiculous. I wonder if race control themselves can even see it on there. a Little car number is Hung out of the way of the Big bucks.